Earn up to 7,152 reward points. A guitar banjo hybrid with maple construction and SMP pickup with volume control. 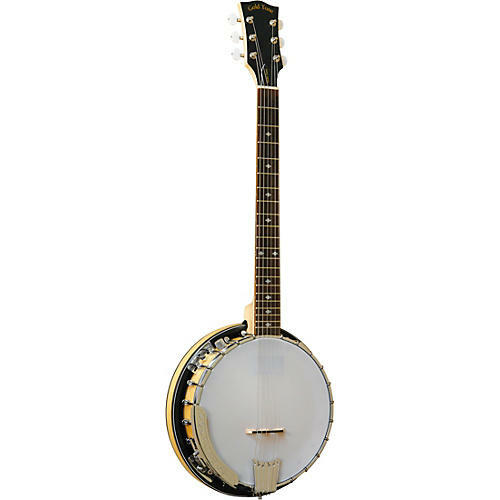 The Gold Tone GT-500 6-string Banjitar is arguably the most sought-after 6-string banjo guitar in its class. it was designed by guitar players for guitar players looking for a more Americana tone. Traditionally-styled with a maple rim (with a full-weight brass flathead tone ring) and maple resonator, the GT-500's pot assembly joins with a comfortable maple neck crowned with a rosewood fingerboard. Killer acoustic tone abounds and the unique Gold Tone SMP Sliding Magnetic Pickup provides powerful plugged-in full range fidelity from the low E string to the first string's final fret. Join the folkternative scene. Order a GT-500 today.